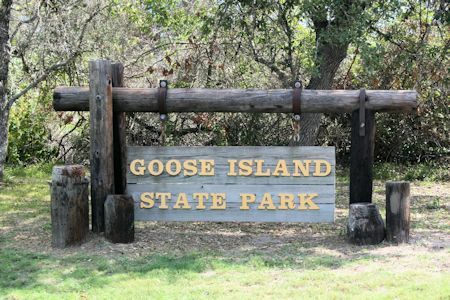 Goose Island state park is very diverse in its camping opportunities and activities. 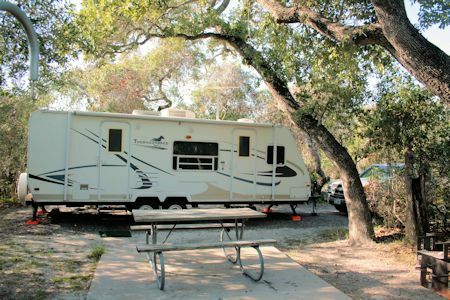 You can camp hidden in oak trees or right on the waters of Aransas Bay. 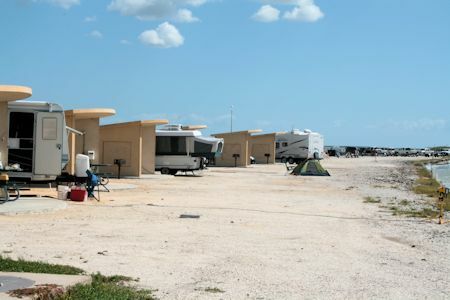 The park can really be divided into two very different parks all located on 321 acres on the southern end of Lamar Peninsula. The other part of the park is an oyster shell island consisting of a shell ridge and marshland. The marshland has a wide variety of native plants and grasses such as sea-ox-eye daisy, wolfberry, sea purslane, baccharis and seashore dropseed grass to name a few. In the surrounding bays with a little luck you can catch Red drum, speckled trout, flounder and more. The primary activities in the park besides camping are fishing, watching birds, watching birds catching fish and watching people trying to catch fish. Did I mention that Goose Island State Park also has the "Big Tree"? The State Champion Coastal Live Oak (Quercus virginiana) that is thought to be one of the largest in the nation and is estimated to be over 1000 years old.